What if someday when your lights go OFF due to disruption in power supply and eventually your mobile battery dies too? What would you do? Search for a candle and a match stick? Well, that’s too mainstream. This Etekcity product is a LED emergency light that you can keep in your handbag and us it when in need. Want to check circuits when the light goes OFF? Want to have a gadget efficiently taking over the function of flashlight? You are almost there; click here to view this amazing product. 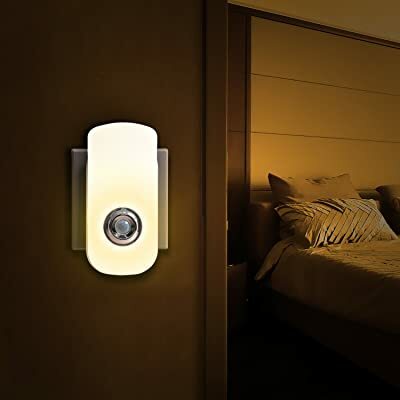 This LED Night light comes up with amazing features and specifications in a single unit. Weighing only 1 pound it is very small sized as it covers a volume with dimensions 5.6×2.7×2.6 inches. With two pieces that comes in single pack, all you need to do is charge it and then use. With Classic white finish and a build-up of very popular ABS plastic, it is organized in an impressive manner. It has Voltage-Wattage value of 120 volts- 1.8 watts. PIR sensor integrated within this product activates this LED light to illuminate the surrounding when it senses any sort of motion within a 60° arc of radius 7-10 fts. It activates on its own when outage of power occurs. It also has a feature of ‘Dimmer Mode’ which means that , light emitted by this night light would be dim if the surrounding environment is dim too ((10-15 lux). When an environment having light brighter than this is detected, it automatically switches itself OFF. Also, when it’s dimmer mode is ON and any motion is detected, it emits bright warm white light instantly. It is highly efficient as charging it for 8-10 hours can give us fine beam of bright light of 40 lumens for 2-3 hours continuously. Another unique feature that makes it unique among others is that as soon as power outage occurs, the light activates itself in no time. It’s sensor duration – distance value is 20 seconds- 2 to 3 metres. It doesn’t require any type of specific battery which means that it is time to say no to frequent visits to shops. It is small and has a compact size that makes its use and handling very easy. As it is made up of ABS plastic it is strong enough and won’t break easily unless it is a hammer. It has a detachable design, charge, unplug, and use. It uses 0.5 watt× 2 LED lights, which makes this product power efficient, cut down the value of your regular electricity bill and keeps you handy with an emergency flash light. The white bright light that is emitted by this product is free from harmful radiations that mean a proper care is takes of your eyes too. It is a device very simple to use and operate. You just have to switch it ON and rest part of the work is done by it on its own. 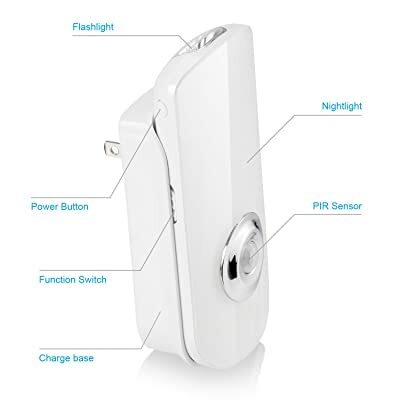 As it comes with attractive features such as dimmer mode, activating itself as soon as the power outrages, and motion detection, this product will never fail to be an apple of the buyer’s eye. It is built with high quality ABS plastic, so you don’t need to stress about its breakage. As it has LED lights inbuilt within it, the device is eco-friendly, efficient, power saving, and illuminates the surrounding by fine beam of even toned light. Its inner battery is highly efficient as it is of lithium polymer of voltage measuring 3.7 volts. When fully charged, its flashlight timing cab be easily extended by 90 minutes. It can be charged only with a AC source though. Sometimes, it shows unnecessary fluctuations in its brightness when nothing is around for no reason. It’s charging-lighting ration is very high, that is 8-2. This amazing product has been rated 4.5 stars out of 5 by its satisfied and verified buyers. With 75% of customers rating is 5 on 5 stars, it is proved that it is of no. 1 quality and can’t be replaced by any other product easily. 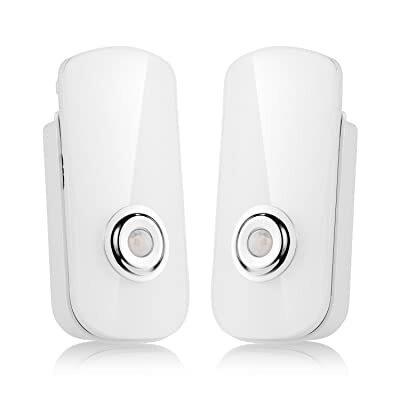 It is highly efficient device with a good battery life and cuts down the damage caused to the eyes by flashlights too. It is eco-friendly and comes with other great reasons and features that make buyers add it into the cart.